The folks at Compass Box have been good to us this year - sending us samples of "This is Not a Luxury Whisky" and "Flaming Heart (15th Anniversary)" first, then "Enlightenment" and "The Circus", and now Three Year Old Deluxe and Spice Tree Extravaganza. 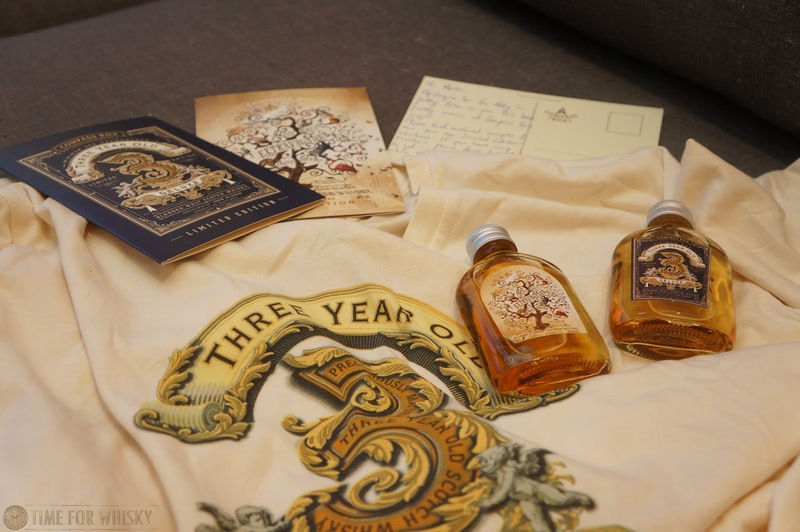 We've talked before about Compass Box's transparency campaign, and the Three Year Old Deluxe is a brilliant (and very cheeky) extension of that. See, yes, it's a 3 year old whisky (in that the youngest whisky in the bottle is 3yo), but it also only contains <1% of 3yo whisky. A little over 90% is "considerably older" whisky from the same distillery (which we presume to be Clynelish), and the remaining 9% is "peaty malt whisky distilled on the Isle of Skye (which we presume to be Talisker). Nose: Apples, candle wax, sweet tea, oak and cherries. Palate: Apples, toffee and caramel at first. A slight meatiness, then strawberry short cake. Stewed pears. A few drops of water adds more waxiness. Finish: Medium length. Residual fruitiness from the palate, but with a slightly tannic oakiness at the very end. Rating (on my very non-scientific scale): 92/100. Excellent - not quite as good as "This is Not a Luxury Whisky", but close. Certainly the most complex 3yo whisky out there! Nose: Clean, fresh sherry (Oloroso?) with a hint of smoke. Red apples and ginger. Palate: Citrus at first - whole oranges. BBQ'd pineapple. Molasses, treacle, brown sugar. Blackberries. Finish: Medium to long in length, with hints of ginger and maple syrup. Rating (on my very non-scientific scale): 92/100. Another beautiful blended malt from Compass Box. Another big thanks to Compass Box for the samples!